Do I Really Need a Will? The Story of Ken and Marsha | The Ashmore Law Firm, P.C. ?What is a Declaration of Guardian? ?What is the 2017 Estate Tax Exemption Limit and Why is it Important? To recap from last week, community property and separate property are two different entities that can make up a person’s assets. Ken and Marsha married five years ago. They both were married at a young age and had no assets. As the years progressed, they purchased a home. Marsha also inherited some money from her Aunt Ruth. Ken died and the home and title went to Marsha, the surviving spouse. Because the money from Aunt Ruth to Marsha was an inheritance it was not considered community property and was Marsha’s separate property. Remember, community property is all property that is acquired by either spouse during their marriage. Separate Property is that property acquired before marriage or by gift, devise, or descent, which includes property that was inherited. Basically, you can be married and have both community and separate propery. It gets complicated if one of the spouses dies without a Will, especially if there is separate property involved. Without a Will the surviving spouse is not entitled to all of the separate property. WARNING: If you do not have an estate plan in place, the law determines who your heirs are. The assets are then distributed and disposed of according to whether they are community or separate property. Believe it or not, if you have no will, your spouse will not necessarily get your separate property. Also, if you have no will, your spouse will not necessarily get your community property. If you’re uncertain whether or not your assets are community property and separate property, you need to consult a qualified estate planning attorney to help you. 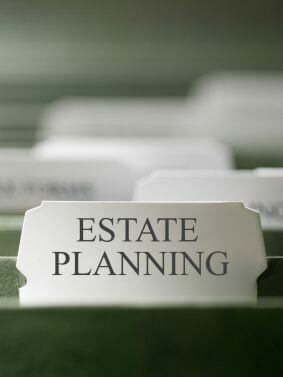 We’d also like to share the six estate planning documents that every Texas should consider to provide a larger scope of what makes up an estate. Next week, we’ll be moving forward to discuss the difference between probate assets versus non-probate assets, which is a must know when you and your attorney are establishing the best plan for your situation.